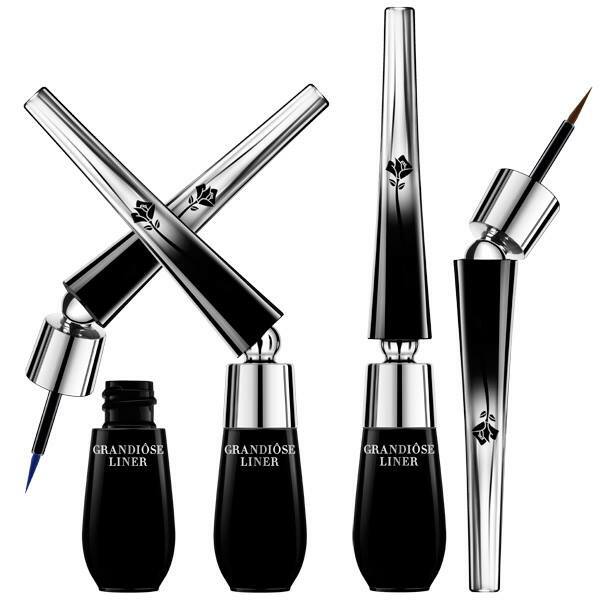 Hello everyone and welcome back …..
Today I will talk about my favorite liner, I use this line not for long time, but I’m in love for it… The Lancome Grandiose Liner is completely unique and like no other liner that I’ve come across before. Achieve the perfect cat eye, winged eyeliner, feline flick and even more looks. For more control and precise application, line like a pro! Easy at every angle, whether you are a lefty or rightly. Ultra fine tip combined with bending the wand allows access from the inner corner to the root of lashes. Bend. Apply. Create. This is one of the best-kept secrets among make-up artists: deliberately angled brushes for enhanced flexibility and creativity and more beautiful eyes. With its 35-degree curved handle, Grandiôse Liner instantly simplifies the technique for a more streamlined application. 35 degrees expressed in 360-degree creativity. The innovative bend is a game-changer, allowing every shade of daring. I actually love everything about this liner, it is just perfect, I also love the packaging …….